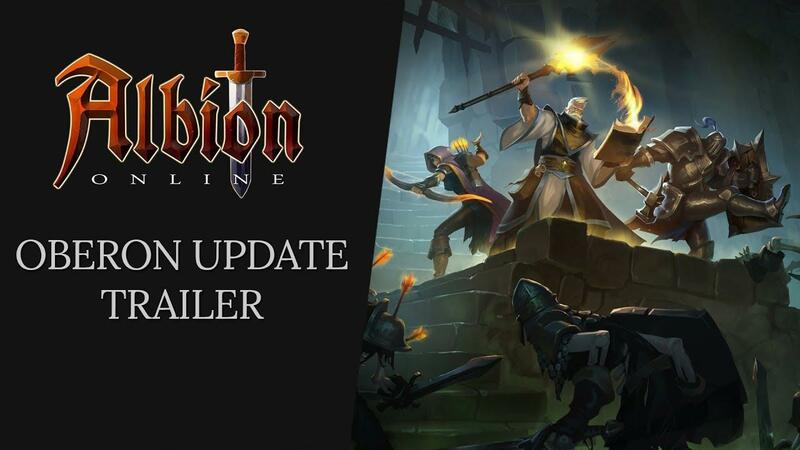 Sandbox Interactive just announced that their MMO Albion Online, which currently requires an initial purchase to access it is going free to play on April 10th. They say their business model isn't changing, with Premium accounts that can be purchased with in-game money or real money, as well as cosmetic items. Free accounts will have full access to everything, since they don't lock any actual content behind any walls with this free to play release. For those worried they're not doing well, they touch on that and it seems they were actually growing slowly anyway, so this seems like a bit of future-proofing against more big free to play games coming out. It's a smart move, considering how ridiculous the competition is already for any smaller online game depending on having a larger number of players. See their official announcement here. For an online-only game, this does actually make me far more likely to pick it back up. Since an MMO not only depends on a lot of players anyway, Albion especially often needs a group to work with, so having no pay-wall makes it easy to get more friends in to join up with. As for the future of Albion, it sounds pretty bright when you look over their new long-term roadmap for the game with some really exciting stuff planned. I think their primary problem was their strategy to have the users create the content, aka "pvp". Big failure. It sounds so great on paper, just create a sandbox and keep the servers running, and wait for the steady income to begin. So, SO many small studios try that route. But it doesn't work like that. It's not that easy. The main issue was (is ?) the game is fully oriented PvP, nothing to do beside this. Gathering ? Only good to feed Crafter. Crafting ? Only good for building PvP stuff. Loot ? Only good for fighting purpose. Exploration ? Only... nah, nothing worsy to discover. I got bored after 2 months, at release. Also, without Premium account, progress is really slowed down. Also, the GUI is targetted toward mobile touchscreen, and very lacking for PC users. Just the skills panel is terrible, lot of wasted space, lot of dragging to simply have a look at it. Path of Exile tree is easy and obvious, compared to Albion's one. Full and only PvP means competition, and friendship stays only until you are not competitive anymore. MMORPG side, i'm Playing Project Gorgon since 2014. I might give it a go when it's free, but I doubt I will play it for an extended period of time. It's still an MMO and with that comes all the bad stuff that is necessary to make it so that people of various levels can play together. I've never seen one that could keep me interested for more than a couple of hours. I have NO idea why MMO makers still try to launch their games with a business model that makes it harder for the game to find an initial audience that keeps it going. 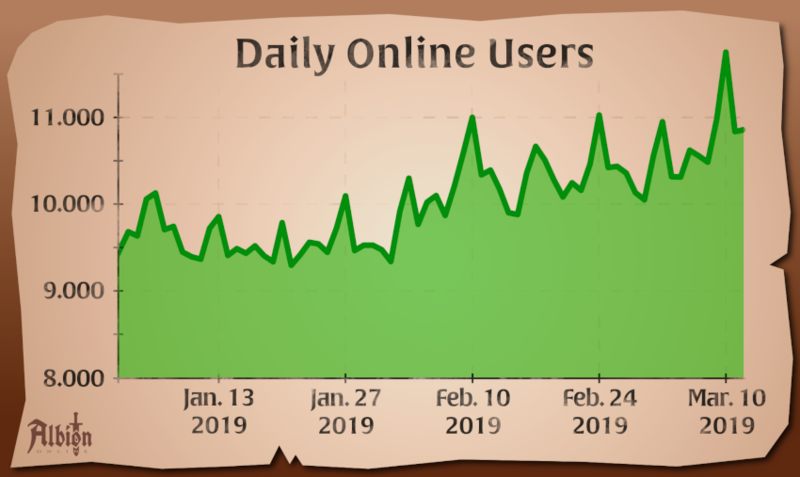 When subscription models started consistently failing, pretty much any MMO kept using it anyway - only to convert the game to B2P or F2P a few months later, when they game already lost momentum. It is very hard for a post-launch game to attract new players, and MMOs need a LOT of players to be interesting for players and be profitable for the publisher. And while this game didn't try monthly fees, it's such a niche game that due to its outdat...errm...old-school design appeals to so few people to begin with, that even a B2P model was more or less guaranteed to fail for it. Regardless of what they said about the game growing, but they wouldn't have changed the business model if they were happy with how the game is doing. Free to play is the first nail in the coffin sadly. We'll see how things progress. It is native, true , but the price is a bit much for what it offers in my opinion. Maybe it is aimed at more old school MMO fans and there is something I am missing. Are they finally going to allow us to migrate normal accounts to Steam account? Hope there are no excuses this time. When your game inevitably dies, please release the source code. Don't concern yourselves with notifying when, I'll mark my calendar. linux client stutters like crap on my rx580, only game I have that is unplayable on Linux, since if you blink you die in Black Zones. Had a Windows installation until last year just for this but it's not worth it.